Yes, I like to think of this blog as one nice, big tent with room for everybody. That's why my Mugs and Mugs2 collections contain Republican, Democrat, Pro-Bush, Anti-Bush, and every other sort of mug you can think of. I don't make any money off of these, I just selected the mugs I thought were neat. A great place to browse for off-the-beaten-path gift ideas. Great post. I was checking constantly this blog and I'm impressed! Extremely useful info specifically the last part :) I care for such information much. I was seeking this certain info for a long time. Thank you and best of luck. An intriguing discussion is definitely worth comment. I think that you ought to write more on this issue, it might not be a taboo subject but typically people do not talk about these subjects. To the next! Many thanks!! Lots of specialists state that credit loans aid a lot of people to live the way they want, just because they can feel free to buy needed goods. Moreover, a lot of banks present commercial loan for all people. Just wanted to say that for the last few months, you have been in my favorites. Reading your blog and checking out four-block world is a treat! 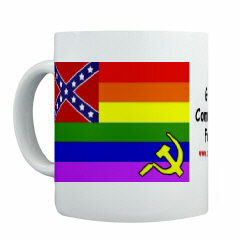 Cafepress started an affiliate program a few months back. You could get a 20% cut of any product sales derived from the traffic you send them. Sign up, get an affiliate account, then just add ?pid=90506 to the end of each link, where the number would be replaced with your own affiliate code.